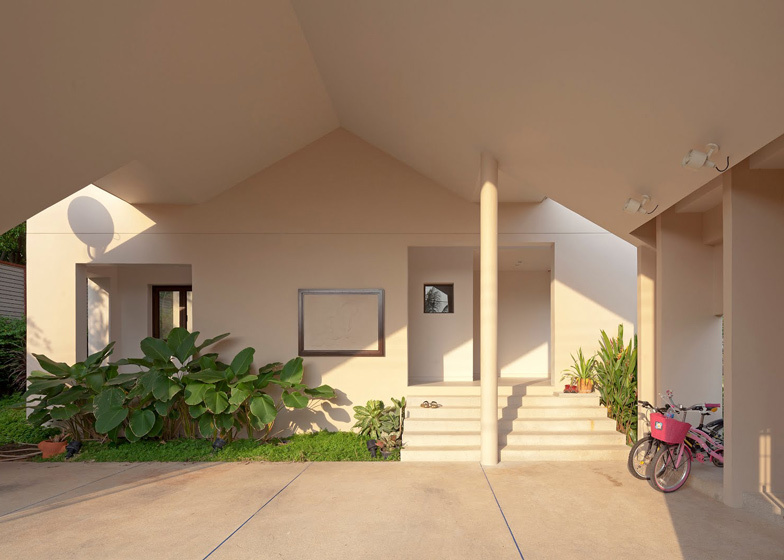 Bangkok architects all(zone) rearranged the forms found in typical standardised housing to create this family home in the Thai capital (+ slideshow). 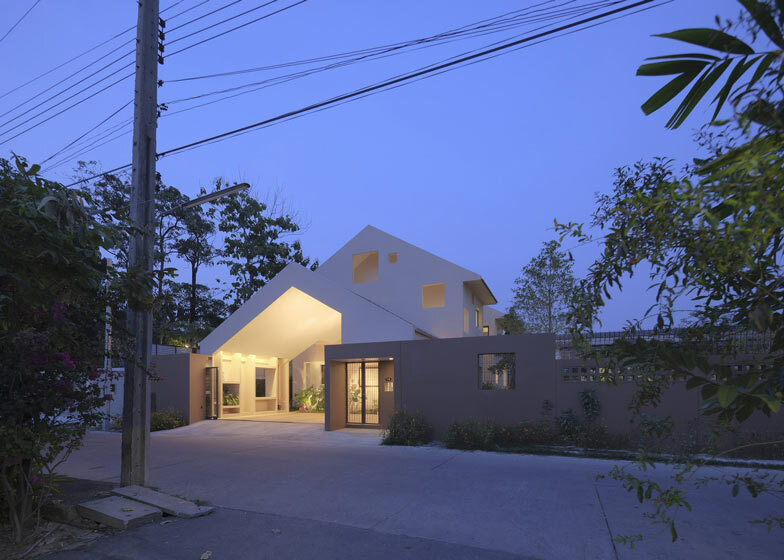 The house is located in a middle class suburb of Bangkok and all(zone) based the design on the aesthetic favoured by local property developers. 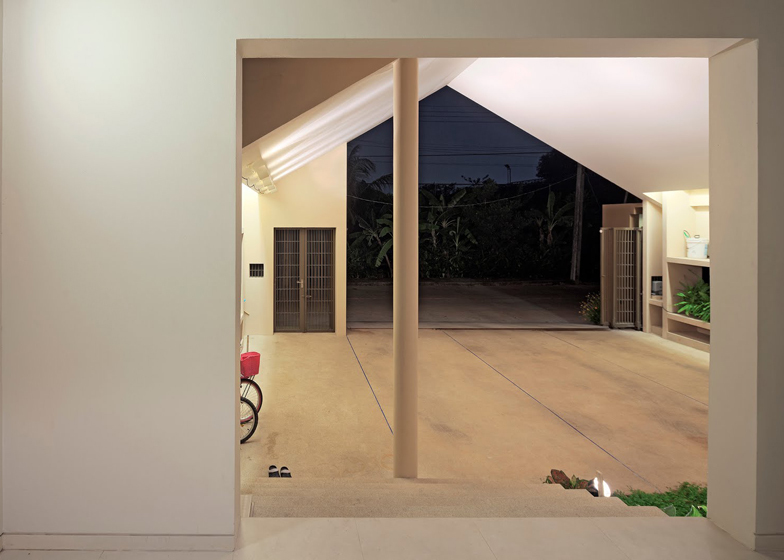 A pitched roof motif unites the house with the adjoining garage and also appears inside, where it can be seen in the hallway of the upper storey. 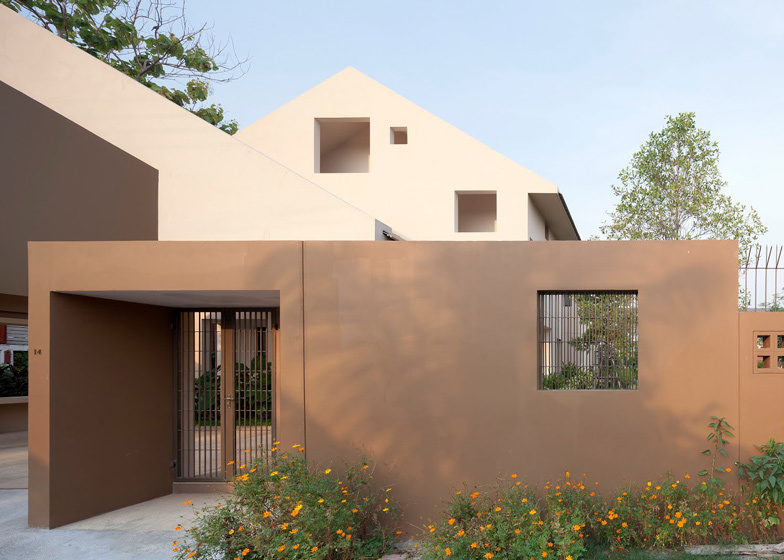 Rectangular apertures punctuate the facade and the complex arrangement of internal walls, allowing light and views to permeate throughout the building. 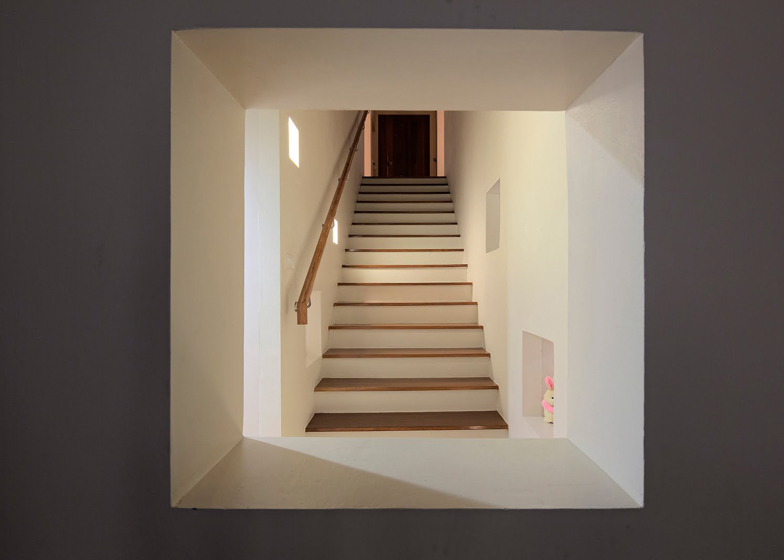 "The superimposing system of walls works together with various positioned openings to slice and light the space of the house into several layers," said the architects. Pale render is used on the external and internal walls, while dark wood flooring and details create a contrast inside. all(zone) previously transformed two disused shops in Bangkok into live-work units by adding a patterned concrete brick facade. 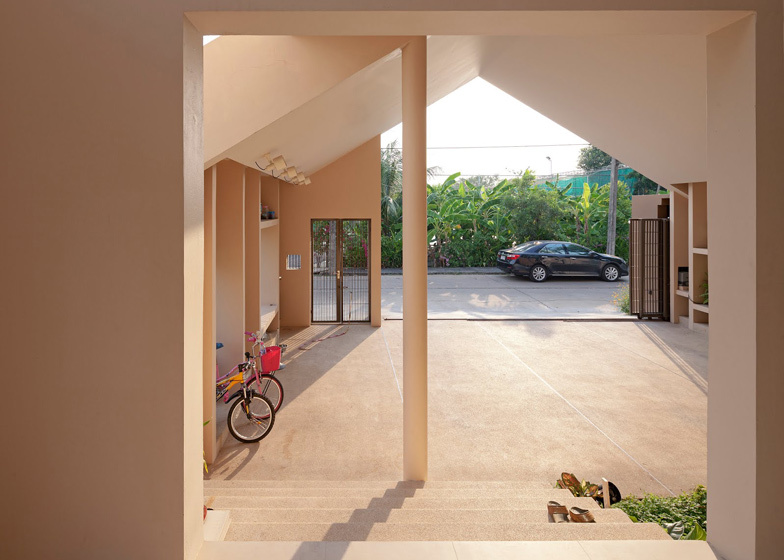 Other Bangkok projects featured on Dezeen include indoor tree houses built around structural columns and an apartment with an outdoor shower on its balcony. Photography is by Piyawut Srisakul. 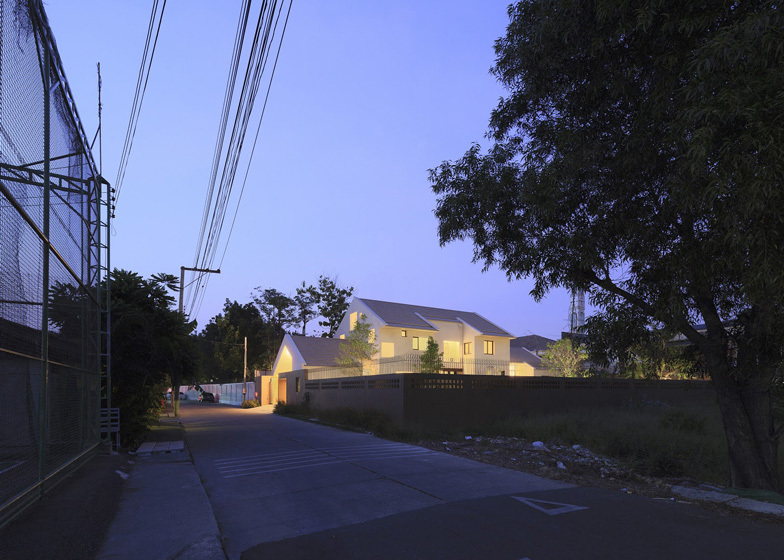 The house is located in a typical middle-class suburb of Bangkok where most of the residences are made by real estate developer’s housing standard system. It, then, borrows and recomposes the most standard elements into a new language, yet remains assimilated to the context – an extra-ordinary. 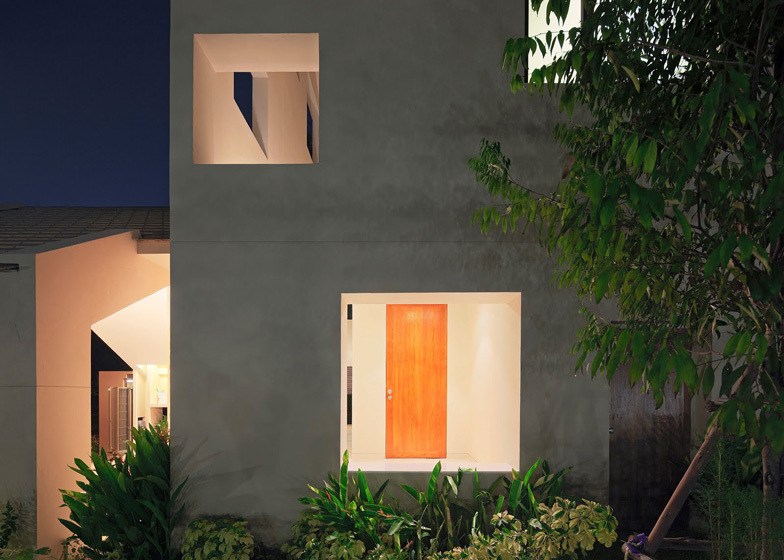 The superimposing system of walls works together with various positioned openings to slice and light the space of the house into several layers.